Although expensive and a little buggy, the touchscreen MessagePad PDAs enjoyed popularity among many Apple fans, and have since reached cult status. Too niche and costly at the time to be sustained by Apple, the Newton platform and related hardware was axed by Steve Jobs. He instead streamlined the Apple product portfolio soon after his return to the company in 1997. Thanks, Mashable, for that original blog idea. Posted by davelawrence8 at 1:20 pm on June 20th, 2011. No comments... » Categories: links, newton history. Tags: links, list, lists, mashable, newton, top 10, worst. Subscribe via RSS. Yes, we know – everyone hated the iMac puck mouse/Newton/Mac TV/Pippin. There’s no more need to include it in a “Top # Apple Mistakes” list anymore. For the past few years, for as long as I’ve been writing Newton Poetry, these “worst of” lists have cropped up from time to time. Most of them mention a similar combination of the above Apple “mistake” products. Chances are, each list will feature the same disliked Apple products as every other what-were-they-thinking list. It’s a sham, and it’s annoying. 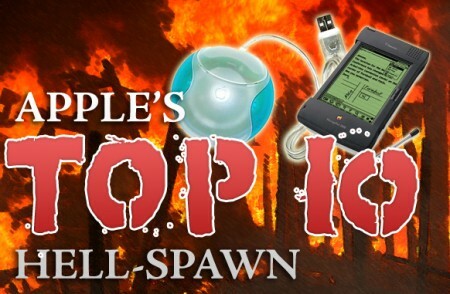 First, the whole “top 10″ list is simply an easy way to be Dugg and Stumbled Upon. I should know – I’m guilty of it myself. The difference is that I didn’t have to browse through other sites, copy their content, and paste it into the site. Every blog and site these days has to have their own iteration of the “worst of” list. Sure, each post probably generates a bit of traffic and tons of comments. The result, however, is that the site ends up looking desperate and silly. Funny that no one mentions the Apple Hi Fi or, as of yet, the Apple TV. Perhaps in a few years those products will be included, too. Here’s the point: it’s as if, when tech blogs are pressed for fresh content, they generate some unoriginal, macabre list of Apple failures and run it as a “top 10″ post. Voila – instant page views. Us Apple fans, and especially us Newton fans, deserve better in-depth analysis than what we all ready know to be true. I hope that Apple fans see past such drivel, and skip the link on Macsurfer. No, Apple’s not perfect, and yes, we remember the devil-spawned puck mouse. Can we move on? There for a while, I was reporting on every damned list that included the Newton. My knee-jerk reaction was outrage, of course, but after a while that outrage turned into a passive frustration. Now, it’s just annoying. Because it keeps happening. Like clockwork. Sure, we can argue all day about whether the Newton platform was a failure. And we could have some yucks over how clunky (yet beautiful) the Cube really was. But we only need to have those conversations once or twice. Not every week. Shame on the blogs that run these “worst of” posts, and shame, especially, to those high-traffic sites that have the resources and talent to generate perfectly good and suitably worthwhile content. Don’t resort to everyone’s-doing-it posts like these. You ought to know better. Posted by davelawrence8 at 6:00 am on October 8th, 2009. 9 comments... » Categories: apple, appletv, messagepad. Tags: apple, blogs, copy, copycats, eMate, list, messagepad, newton, worst. Subscribe via RSS. - Jonathan Dueck, on the Newtontalk list, regarding the fight to get the 2010 bug resolved. Posted by davelawrence8 at 6:33 am on February 17th, 2009. No comments... » Categories: community, newton history, y2010. 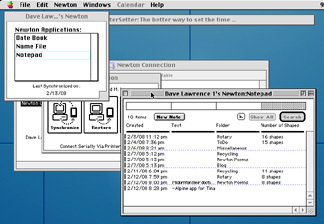 Tags: 2010, bug, list, newton, newtontalk, operating system, OS, quote. Subscribe via RSS. Like it hasn’t happened before, right? Flop this. Newton seems to appear on every list ever made by a technology-based site, for good or ill.
Enough’s enough already, folks. We know the MessagePad was both cool for the time and a big commercial flop. We get it. Posted by davelawrence8 at 10:55 am on May 26th, 2008. No comments... » Categories: apple, newton, newton history. Tags: apple, fetish, flop, lame, list, messagepad, newton, wired. Subscribe via RSS. Forbes.com puts Newton on list. More lists needed. What It Does: A commercial failure, this software put a computer with an elegant touch-screen interface in a user’s pocket. Why It’s Great: Apple’s pocket computer failed first, setting Apple up for success with the iPhone. Isn’t it funny how so many web sites are doing Apple-related lists? And most of them include Newton, for good or ill? And how much of life can really be put into “top ten such-and-such” lists before it loses some of its magic? It’s like reading those magazine covers that brag “10 best ways to please your hubby” or “Five easy ways to flatter abs.” Are we so dumbed-down we need it broken up into list-sized chunks? Speaking of which, I’ll have a “10 best things to do with your Newton” post coming up soon. Posted by davelawrence8 at 5:22 pm on April 14th, 2008. No comments... » Categories: blogs, messagepad, newton history. 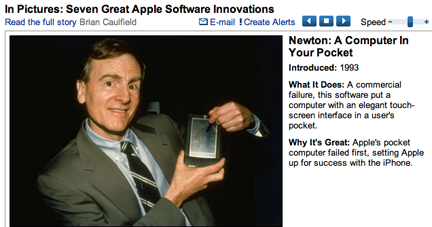 Tags: apple, flop, forbes, knowledge navigator, list, lists, magazines, messagepad, newton, sculley, top 10. Subscribe via RSS. Two weeks with my Newton. Two weeks ago, I decided to dedicate all my GTD, notetaking, scheduling, and day-to-day tasks using nothing but my Newton MessagePad 110. I originally bought my MessagePad on eBay just to play around with, and see what all the fuss is about. As I’ve worked on this Newton Poetry blog, however, I’ve developed quite an affection for the green machine. Maybe it’s contagious, I don’t know. But I figured if I really wanted to get to know my Newton, I had to use it everyday – not just for translating poetry. Posted by davelawrence8 at 11:35 am on February 18th, 2008. No comments... » Categories: GTD, messagepad. Tags: apple, calendar, everyday, GTD, life, list, messagepad, newton, note, notes, PDA, todo, use, uses. Subscribe via RSS. 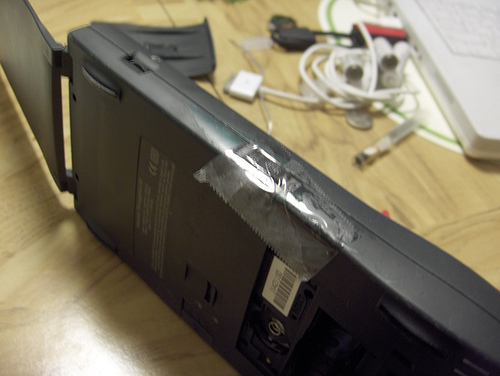 I went to the Newtonlist mailing group and got some direction on how to fix my MessagePad 110. Sonny also pointed me in this direction, which gives a similar set of instructions. But those definitely didn’t work. This weekend I’ll pick up a fresh set of batteries. I also have to grab a recharger, but I want to get something quality, like the MAHA I’ve heard so many good things about. I think that’ll be the lasts straw. If I can’t get the Newton running after Sonny’s advice and the new batteries, I’ll cash it in and spring for a 2×00 series model. Posted by davelawrence8 at 6:53 pm on January 3rd, 2008. No comments... » Categories: messagepad, newton. Tags: apple, batteries, DIY, email, flickr, list, maha, messagepad, newton, repair. Subscribe via RSS.